[prMac.com] Porto, Portugal - myTuner Radio, the premium mobile and desktop radio streaming app, has recently reached the 10 million users mark. To celebrate this special occasion, the myTuner Radio team is proud to announce to their faithful users that myTuner Radio is now also compatible with Apple Watch! The 4.1 myTuner Radio release version is available starting today, for both Free and Paid versions of the app and it brings this awesome integration with the brand new Apple smartwatch, just in time for the official release date of the Apple Watch, April 24th, 2015. 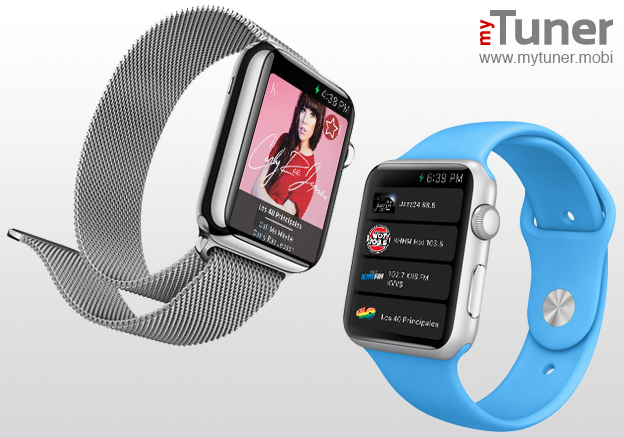 The new myTuner Radio features for the Apple Watch include the possibility of users playing their favorite radio stations, the most popular stations, many and great podcast episodes and the most popular songs in their country (30 seconds preview), directly from their wrists! 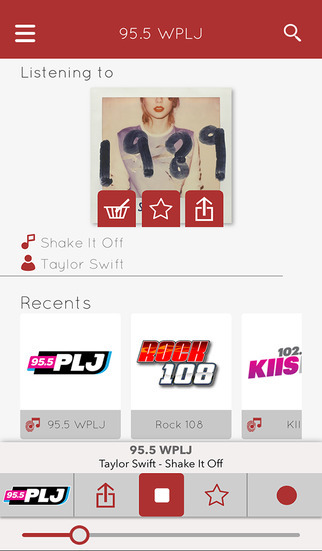 Since version 4.1 has just been released, previous clients from both Free and Paid versions can update their myTuner Radio app at any time and receive these new features without any additional cost! myTuner Radio 4.1 is currently available at $2.99 USD (a 60% Discount Price) and it's available for iOS in the App Store in the Music category. It's also available for Free (with Ads). AppGeneration Software specializes in software development and editorial content to provide a unique experience centered on smartphones and tablets. Copyright (C) 2015 AppGeneration. All Rights Reserved. Apple, the Apple logo, Apple Watch, iPhone, iPod, and iPad are registered trademarks of Apple Inc. in the U.S. and/or other countries.